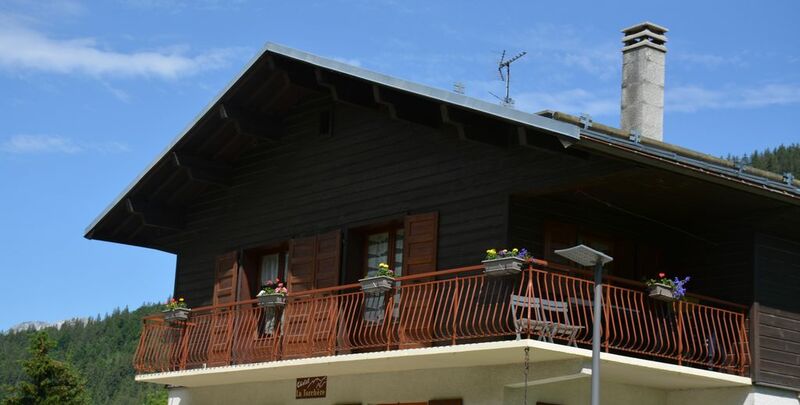 In a chalet with 2 floors, spacious apartment of 69 m2 on the 2nd floor at a place called 'the Plan', with private garage and private parking located next to the chalet, wifi and very well equipped kitchen. the cottage is located in front of the toboggan run "this toboggan run is marked and secured for children and tracks maintained by the service." Pedestrian groomed trail right in front of the cottage to go down to the village or to walk to the Confines. Located 450 meters from the nearest shops (food, water park ...) and 700 meters from the village center (ice rink, tourist office, church ...). Access to the village is facilitated by a walkway lined with a new public lighting. Possibility to rent the weekend on request and several weeks, Out of summer and winter season (price negotiable for this type of request). Partner of the Tourist Office on benefits King Child cards and cards +. You can contact me for any information at 0457097784 or 0687710460 (after 18:00). Clean, cosy apartment near the slopes and town. The apartment was warm, clean and cosy, and was a nice place to return to after a busy day on the slopes. The ski storage facilities were excellent and the garage parking space was very useful for nights of heavy snowfall. The location is good, close to Bossonet ski lift and a 2 minute drive into town. This was our first visit to La Clusaz and so we did not know what to expect. The service from the apartment host was excellent and he answered all of our questions. The apartment is on the top floor of two, with a balcony along one side facing the mountains. It was cosy and warm after a day on the slopes, and was well appointed with equipment including a selection of sledges, children's toys and accessories. It was about a ten minute walk into the village, along the bottom of the piste immediately opposite. Each apartment has use of a garage which was very handy as parking our car indoors meant that we didn't have to worry about de-icing it in the mornings unlike some others who weren't so fortunate! La Clusaz itself is a charming village with loads of activities, restaurants, an excellent ski school and easy access to the lifts. We had a wonderful Christmas here and will definitely return. We love to welcome your family to La Clusaz. L’appartement situé sur la route des confins (juste un peu de passage de véhicules en journée) donne un accès rapide aux différents départs de randonnées des Aravis. L’appartement dispose de tout le nécessaire pour 4 à 6 personnes (nous étions 2 donc le luxe !). Cadre exceptionnel au pied des Aravis. Logement très bien équipé et idéal pour une famille. Adresse à recommander. Appartement super propre à votre départ, locataires très sympathiques, au top.